Let's get it straight, when you post an awesome video on Facebook you're often dying to get it seen as many times as possible. Unfortunately, not every post will be treated the same by Facebook algorithm, and chances are that your video aren't prioritized on your targeted audience's news feed because of low "points". It still isn't prioritized like this one by The New York Times, which got tens of thousands of "points", including 11K reactions, over 2.6K shares and 2.4K comments and more from reactions to the comments. In this blog, I'm neither taking the topic nor the audience base of these content publishers into account, I'm just comparing them based on the number of "points" they gain from Facebook. So why do you need to have more "points"? Because that means more engagement. That means more free exposure (or lower cost per lead). It might mean that next time your other content will be prioritized by Facebook, too. Okay, you're ready? Let's get right into it. ...if you want to game them. Through many of his speeches, letters and interviews, Mark Zuckerberg stated that he would love to see people connect through social media more. How do people connect with each other people? Spending time with them. Put that into the Facebook context, and there you have it, spending MORE time on Facebook. Now let's talk business. Facebook is, after all, a business. And a business needs money to exist. It's like a circle. Businesses all over the world is paying Facebook to display their ads to potential customers - that's where most of Facebook money comes from. In order to maximize revenue from ads, Facebook needs to have a lot of inventory. And their inventory is... your TIME. That's right my friends, Facebook want to keep you on the site longer, even more than that 50 minutes per day. But HOW can they keep people for a longer time on Facebook? 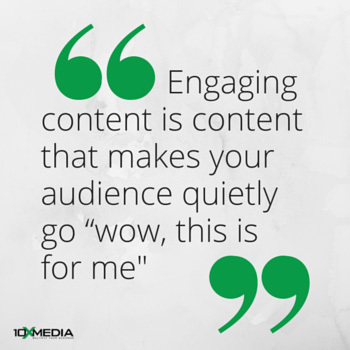 The answer is more relevant and engaging content. In a nutshell, Facebook wants us on their platform, so that have more inventory to serve their paid ad partners. So how can you take advantage of these? Back to my two examples at the beginning of this blog, although I wasn't interested, that video was up high in my News Feed. The simple reason was that it got a lot of interactions. Or in other words, it got very high points. So, no matter what the content is like, Facebook algorithms are currently judging its engagement and relevance rates based on POINTS only. I know you don't want to be a freak to generate controversial discussion and get points, so here are my top 5 tips to get maximum exposure for your Facebook video without being hated for it. At the end of the video's description, request any of the following actions: like or react, share, comment a specific number/name/phrases/etc. Try your best to respond to every comment as quickly as possible, BETTER if you bring up a question so that the commenter has to answer when they come back. Piperwai is doing very well with responding to their audience and tagging them in their comments. And DON'T forget to tag the commenter in your reply to make sure they are notified. Click like, or react to EVERY single comment, even yours. This is divided into 3 periods: pre-live, live and post-live. Don't forget the CTA during your broadcast. For example: Tell you audience to "Love/like to show me you can hear me ok" OR "Comment your name so that we can put you in the lucky draw list after this video ends", etc. Use this Google Chrome extension called Awesome Facebook Video Downloader to download and repurpose your live videos for Youtube, blogs or other social media platforms. Since Facebook is tightening up their competition with other content platforms, video links that direct Facebook users to Youtube, Vine or any other video website now are not treated equally to direct Facebook video uploads. Not only the thumbnail, but those directly uploaded to Facebook will have a better placement in the News Feed than those from other video hubs. Of course, there's a way to post a Youtube video to Facebook with big thumbnail, but it isn't worth it being dependable on a third-party, whose technologies can be immediately outdated once Facebook changes their algorithms. Therefore, I suggest that you upload the content directly to Facebook for better and safer placement and exposure. Usually you'll see companies and brands pin their videos at the top of their Facebook page, but what if you can be much cooler than most of them out there, with a featured video? If you've turned off your Map and check-in feature in the About section, then you should see that snippet saying Feature one of your videos like in this picture. Oh, you can now even set a short video as your "Facebook cover video", too. Any video you choose must be between 20 - 90 seconds and at least 820 x 312 pixels. The recommended size is 820 x 462 pixels. Of course it's extremely important for you to get more attention on Facebook, but don't forget the fact that every session that people spend on Facebook only lasts for about 20 minutes. Within that time span, tons of content "attack" them, from their best friend's new shoes pictures, to their mom's latest vacation album, to their crush's status and other brands' updates. It's best that you don't take up too much of their time, and aren't hard to understand after 6 first seconds of the video. If you have what-you-believe as a wonderful video that lasts 30 minutes, the best thing to do is to throw a 30-second teaser on your Facebook page, with a link to the full video in the description. Of course, the video is directly uploaded to Facebook as said in Tip 3. That way, you kill two birds with one stone. You keep your Facebook followers interested, curious and feel like their time is respected. At the same time, you get more traffic to your website, which will increase your ranking. All in all, here's a Facebook video cheatsheet for your reference in the future. Happy Facebooking! What's the true motivation behind Facebook's algorithms? They want to keep you longer on their platform to increase ad inventory. How can you "exploit" that?